Pokemon Sun and Moon Team Skull - Best Villain Ever? Home » Games » Pokemon Sun and Moon Team Skull – Best Villain Ever? Pokemon Ultra Sun and Ultra Moon has already been announced. While waiting for this new title, let’s get back to Pokemon Sun and Moon and enjoy what it has to offer, especially the villains. And among those villains, the newest gang in town – Team Skull is even considered as one of the best Pokemon villains ever. In that case, why not take a deeper look into this “Pokemon celebrity”? Are they truly among the best Pokemon villains? Let’s find out! In most Pokemon titles we’ve seen so far, villains are serious criminal organizations and individuals who seek to change the world just like their beliefs by any means of necessary. By saying that, it doesn’t mean all of these villains are boring and mundane. This kind of motive has been used throughout various Pokemon titles and it got less and less interesting. They cannot overcome the shadow of other great Pokemon villains like Giovanni from Generation I. 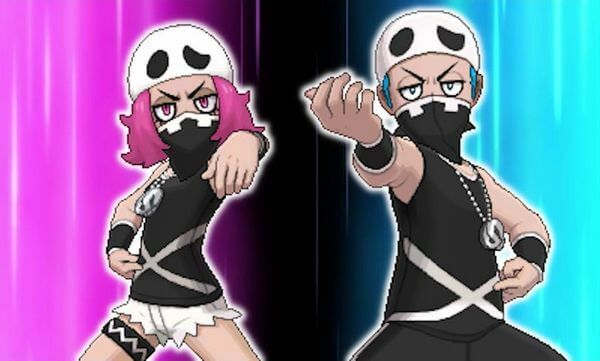 But, in this new title, it seems the developers has decided to change the course, the new villainous group – Team Skull is totally unlike what we’ve seen before. Though they are not the main villain, they are adored by many fans thanks to their “goofiness”. They do not aim to change to world, or have any grand-scale goal, but that’s what makes these guys so adored among fans. What’s interesting about the team is that they simply try to get enough money to live. They mostly steal Pokemon and stuff, they are also known to cause troubles and often referred as “troublemakers”. Sounds like a bunch of “goal-less losers”? Partly true! Members of Team Skull are Alola natives who failed in the Island Challenge (*). It could also be the reason why these Team Skull’s members also try to disrupt the island challenge. Otherwise, the team seems to have unclear goal, or rather, goal-less. What fans also like about the Team Skull is how they react and interact with people around them. They do not try to be cool, or to be serious and smart, they seem to be okay of being “stubborn”, acting and speaking in a silly manner. This design makes them splendid villainous grunts that are so weak, AND, hilariously funny. Since they are weak, it’s perfectly fine with them being goofy and funny and players no longer feel awkward when beating weak enemies, yet still trying to talk big and important stuff. * Alola’s Island Challenge: a sacred ritual, including trials in which island natives from 11 years old can take part in to become the greatest Trainer and the island’s champion. Every villainous organization needs to have its own leaders, and Team Skull is no exception. So, let’s see those who stand behind this “evil organization”! Since we have a “silly villainous organization”, what we need is an equally memorable leader and that’s what Guzma – Team Skull Boss has achieved. Guzma is formerly a succeeded participant of the island challenge and he thrived to become the Trail Captain himself. However, he was rejected due to his ego. This leads to his enrage, he decided to recruit members who failed in the island challenge and cause chaos throughout the Alola region and the island challenge itself. Plumeria: Oh my dear, cute dummies. 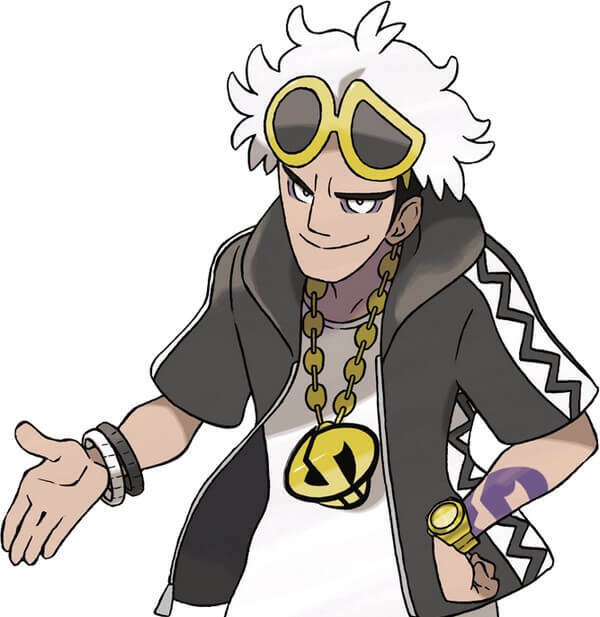 To this point, some people may wonder: “How can a silly organization work out well without a mindful leader?” Yes, it’s true that Guzma is not an ideal guy to plan out careful plans and managements. But he has another partner-in-crime – Plumeria, also known as the Big Sis among Team Skull members. Just like other Team Skull members, Plumeria doesn’t have any great goals or grand motives, she simply wants to take care of her “sisters and brothers”. 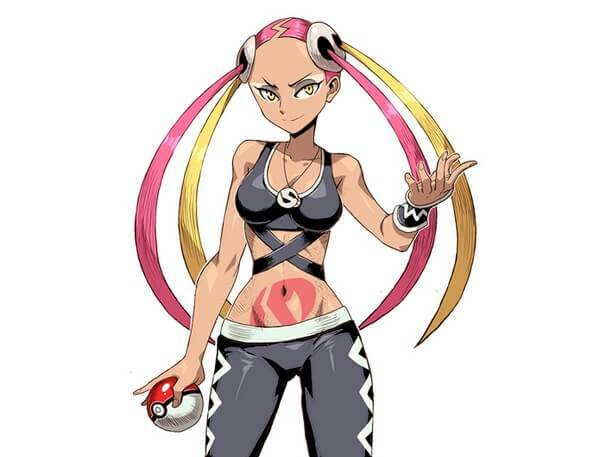 This makes Plumeria quite an interesting character as she doesn’t aim for anything super special, she’s a strict, yet caring admin of the grunts. Surely she will take revenge to those who “bully” her “sisters and brothers”. The last high-ranking member of the Team Skull is Gladion who is the team’s enforcer. He is the son of Lusamine and brother to Lillie. When his mother becomes too obsessed with the Ultra Beast, he decided to leave and later on join the Team Skull as their enforcer. Though Guzma takes quite a liking to him, most of the team grunts do not like him and do not consider him to be a proper member of the gang. 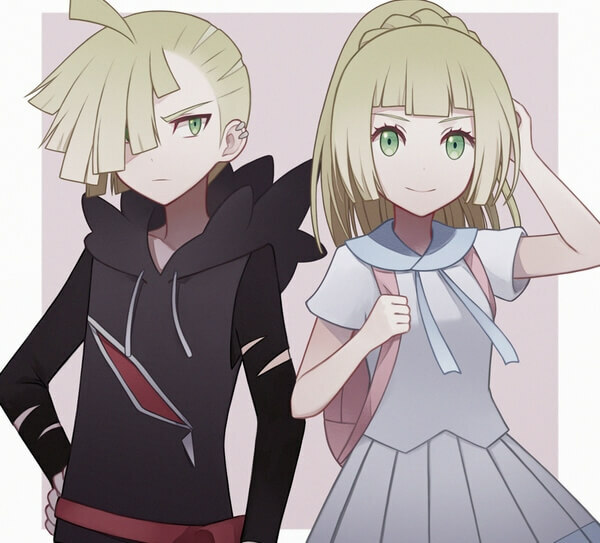 Although Gladion gives out a serious and somewhat rough feeling, he is actually caring, especially for Pokemons and his sister. Though he is the team’s enforcer, the grunts do not acknowledge him as an official member. But nonetheless, his main goal isn’t to be a gang member, his true goal is to stop his mother plan. As we can see, this new villainous organization is actually a simple “thug” group, not world-changing villains. As it turns out, the team is somewhat realistic, funny, and memorable at the same time. Despite their hilarious characteristic, they are quite an interesting community if we take a deeper look. As we mentioned, members of the Team Skull are mostly troublemakers. But that doesn’t mean that they are particularly evil and bad guys. The team is actually a community of people who share the same sad story – those who failed in their dream, those who are not respected by the mass. For such individuals, it is hard for them to live normally in the society as they have to face resentment, sadness. In this Alola region, Team Skull is actually a community for them to escape from discrimination, to be themselves without being prejudiced or judged. The members actually care for each other with the typical example of Plumeria the Big Sis. Even if we look at Guzma, he may look evil at first but his past reveals a sad memory. He failed to achieve his dream as a Trail Captain. He thrived to convince himself to be the strongest Pokemon Trainer around Aloha, but that also means he’s constantly in the state of fear, of being a weakling. If we look for further clues, we can also see the hint that Guzma is abused by his father. In that case, no wonder why Guzma becomes who he is now. For these reasons, this community is not that evil after all. They are just people who try to live their normal life and to be themselves. Perhaps that’s why we like these guys. And also why they’re worthy to be one of the best villains of Pokemon Universe. That’s it folk! What do you think about Team Skull? Feel free to share with us and for now, thank you and stay tune for more news in the future! Pingback: Pokemon Ultra Sun and Moon Review – Does It Worth It?